NEGROMANCER 2.0: Image Comics Announces Mark Millar and Netflix's "Sharkey The Bounty Hunter"
Image Comics Announces Mark Millar and Netflix's "Sharkey The Bounty Hunter"
HOLLYWOOD, CA — Netflix and Millarworld announced their third comic book collaboration, SHARKEY THE BOUNTY HUNTER, from writer and creator Mark Millar. Millar has named comic book artist Simone Bianchi to bring SHARKEY to life on the printed page. This is the third Millarworld franchise since Mark Millar joined Netflix on staff, following the best-selling The Magic Order and the upcoming PRODIGY, which is set to be released on December 5, 2018. 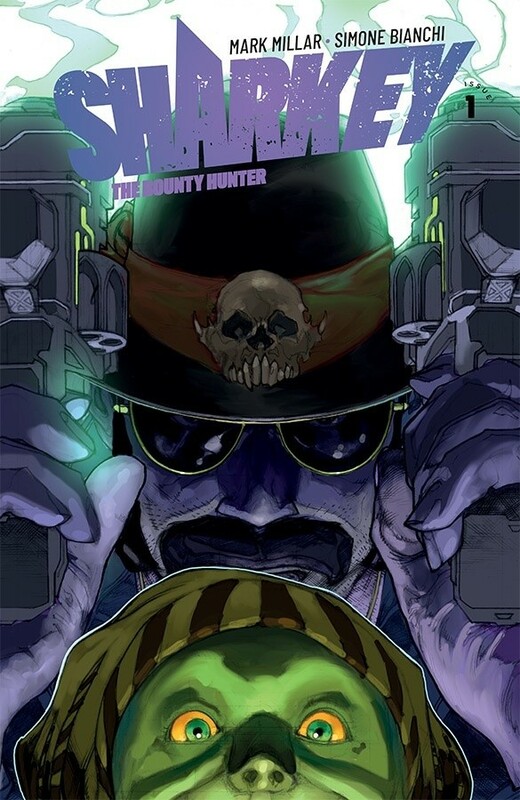 SHARKEY THE BOUNTY HUNTER will be available from Image Comics in comic book stores and online on February 20th, 2019. “When I joined Netflix on staff last year we had this crazy plan of a big sci-fi universe of movies and Sharkey is the first of these,” said Mark Millar, President and Chief Creative Officer, Millarworld, a subsidiary of Netflix. “The Magic Order is our fantasy/ horror franchise, Prodigy is our big adventure movies and Sharkey kicks off a whole world of sci-fi that’s just a great action comedy in the style of all the movies I grew up with. I love blue-collar heroes and I like the parent/ kid dynamic from movies like Paper Moon or Leon: The Professional and, of course, Big Daddy and Hit-Girl. This is all the things Star Wars or Marvel can’t get away with. We start where they kinda draw the line and I love this freedom creatively as we’ve never seen space done this way before. To have Simone Bianchi drawing the comic-book side of all this and working from the amazing production designs is an honour. The team is just incredible. Simone and I have talking about working together since my days at Marvel so it’s a total blessing to finally be working with this Italian genius." SHARKEY THE BOUNTY HUNTER #1 will be available in stores on Wednesday, February 20th. The final order cutoff deadline is Monday, January 28th, 2019.